Mary Brown is funny, gorgeous and bonkers. She's also about six stone overweight. When she realises she can't cross her legs, has trouble bending over to tie her shoelaces without wheezing like an elderly chain-smoker, and discovers that even her hands and feet look fat, it's time to take action. But what action? She's tried every diet under the sun. 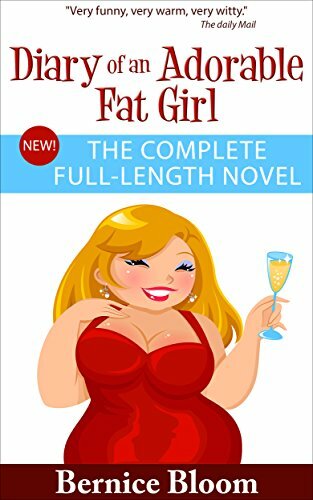 This is the hysterical story of what happens when Mary joins 'Fat Club' where she meets a cast of funny characters and one particular man who catches her eye. Bernice Bloom is the big, new name in comedy writing...this is the first full-length novel after her series of laugh-out-loud mini books. Believe it or not Mary Brown really is an adorable fat girl. and this book is utterly hilarious. Its not just a barrel of laughs though, it does touch on some real issues, and I think if you are overweight enough to be considering going to a fat club then some of the help that Mary is given may actually help you too. I did spend a some of the book thinking, wow I'm overweight but thankfully I'm not quite as large as Mary. Not the nicest or most charitable thing to think. But a the same time I could identify with a large number of her feelings and situations she found herself in. Originally this was split into three mini stories, but having read it as one whole book I think it works better like this, as I now have a great grounding on the character of Mary. The first book focuses on Mary's first course at "fat club" and its where she meets some fabulous new people who will be come her friends. The second book is hilarious, and I loved the trip to Amsterdam where a large amount of cake was eaten, with amusing consequences, and a drunken night out leads to a rather expensive problem. Then the third book is more to do with Mary, her fledgling relationship and we finally hear the triggers for her over eating. When put together it creates one memorable book with so many relatable to and realistic characters. Mary Brown is just wonderful, and I challenge you to read this and not be amused by the book. 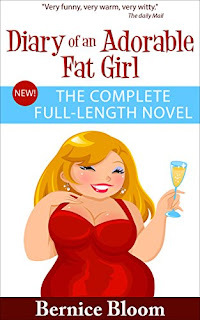 I am so looking forward to reading more of the Adorable Fat Girl series, and anything else that Bernice Bloom writes. Anyone that is able to write about a larger woman and make her into a superstar, real, with faults, a lovely sense of humour, and generally all around lovely person. I have loved every moment that I was reading this book and I'm also really rooting for Mary that she will triumph in the battle against overeating. Thank you to Bernice Bloom for this copy which I have reviewed honestly and voluntarily.